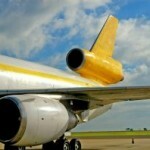 Airfreight courier services ideal are for cargo or freight that has to meet a plane. Our drivers have restricted areas clearance and are experienced in getting to airports on time. We understand the importance of getting airfreight to the airport and onwards to it’s end destination. Our air cargo couriers currently serve all UK airports. Our customers love that their production down time is kept to the minimum and that we are available 24/7 to collect and deliver into airports to meet their deadlines. We understand that your air freight delivery is vital and we can have one of our well trained drivers collecting within 60 minutes from your booking our airfreight courier services. Whether your cargo is high value or fragile, it will reach it’s plane and your deadlines and your customers destination.